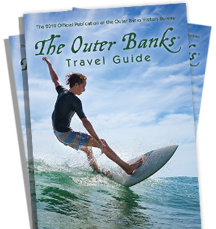 The Outer Banks has a way of changing people and opening their eyes to new experiences. It’s like visiting a world you never knew existed. There’s never a dull moment, but rather days filled with a colorful palette of outdoor recreation, sightseeing and cultural possibilities. There are always more activities around each and every corner.